A week full of thrills for Elisabetta Cametti. 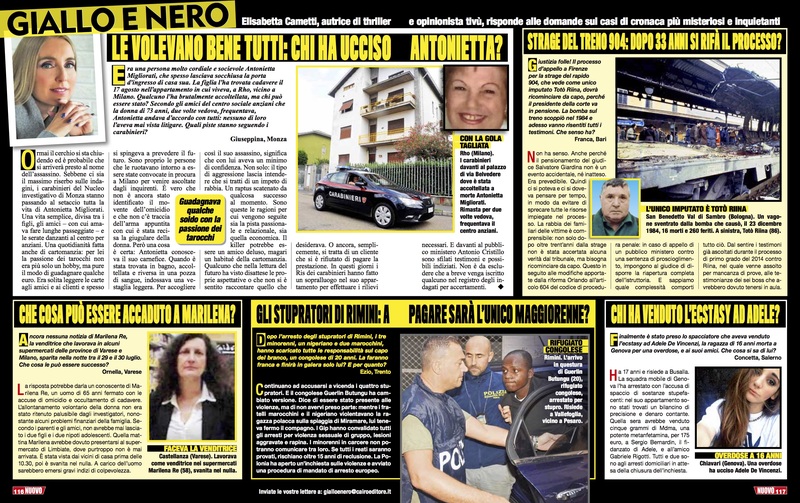 As every Thursday she’s back with her column Giallo e Nero. Which are the most mysterious criminal cases of the week? Discover them on the magazine Nuovo (Cairo Editore, 14/09/2017).